First class print quality, 100ml. ink cartridge refill kit for most genuine HP Black ink cartridges. Detailed instructions & diagrams, all essential refill tools, first rate contaminant free compatible ink for optimum printer performance and picture clarity, (please advise model of printer with your order so as we may send the correct instructions and formula ink). Most HP genuine black ink cartridges require 5 to 15ml. of ink to refill depending on the cartridge part number. Refilling your own HP genuine ink cartridges is not rocket science, the most simple rule is inject the ink slowly. Not sure as to the capacity of your cartridge, just email for free cartridge capacity information, see link top right of page. We have do it yourself inkjet cartridge refill kits for HP genuine Black ink cartridges number, #, 21, 27, 56, 60, 60XL, 61, 61XL, 62, 62XL, 63, 63XL, 74, 88, 92, 94, 96, 98, 564, 564XL, 702, 901, 901, 920, 920, 932 940, 950, with others in development. We have refill kits available for the following HP Inkjet printers DESKJET, 450, 450CBI, 450CI, 450WBT, 710C, 720C, 820CXI, 830C, 850C, 850K, 870CXI, 880C, 890C, 895CXI, 930C, 950C, 960C, 970CXI, 990CXI, 1000CXI, 1120C, 1125, 1180C, 1220C, 1280, 1600C, 3070A, 3520E, 3920, 3940, 5160, 5440, 5550, 5650, 5652, 5740, 6540, 6840, 9600, 9640, 9650, 9680, 6122, 9300, 9800, 9860, D1360, D1460, D1520, D1560, D2360, D2460, F340, F350, F370, F380, F2100, F2120, F2179, F2180, F2235, F2275, F2280, F4185, OFFICEJET G55, G85, G95, K60, K80, R45, R65, T45, T65, PRO 1150C, PRO 1170C, PRO 1175C, 4110, 4255, 4355, 4610, 4620, 5510, 5610, 6000, 6100, 6110, 6310, 6500, 6600, 6700, 7000, 7210, 7410, K7100, K7103, K7105, K7108, 7500A, PHOTOSMART 1215, 1218, 2410, 2510, 2575, 2710, 5520, 7150, 7260, 7450, 7550, 7660, 7760, 7960, 8030, 8150, 8450, 8750, PRO B8330, PRO B8770, B109A, B110A, B111A, B209A, B210, PRO B8550, PRO B8553, PRO B8558, PREMIUM C309A, PREMIUM C310A, PREMIUM C410A, ESTATION C510A, C3140, C3175, C3180, C5324, C5370, C5373, C5380, C6375, C5388, C5390, C5393, C5460, C6300, C6324, C6375, C6380, D5460, D5463, D5468, D7560, 5510, 6510, 6520, 7510, 7520E PSC 1210, PSC 1315, PSC 1318, PSC 1350, PSC 1402, PSC 1410, PSC 1507, PSC 1510, PSC 2110, PSC 2210, PSC 2310, PSC 2410, PSC 2510, PSC 2575, PSC 2610, PSC 2710 and most recent additions, HP ENVY 100, 120, 4520, 5540, 5640, 7640, HP OFFICEJET 3830, 5740, HP DESKJET 1000, 1010 1050, 1500, 1510, D1660, 2000, 2050, 2130, 2131, 2510, 2540, 3000, 3050, 3630, 3632, D2560, D2660, D5560, F2400, F2410, F2420, F2423, F2480, F2483, F4200, F4230, F4250, F4280, F4400, F4470, F4472, F4473, F4480, F4492, PHOTOSMART, C4680, C4780. 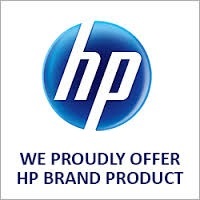 For more free information on HP ink refills, HP refill kits, HP cartridge refill or HP printer ink supplies, please use our email link to sales@aaacartridge.com.au top right of this page with your printer model number.